ChargeIt by Jay Infinity Gold Charger Plate 12"
Home > Products > ChargeIt by Jay Infinity Gold Charger Plate 12"
Create stunning table arrangements with the ChargeIt by Jay Infinity Gold Charger Plate 12". 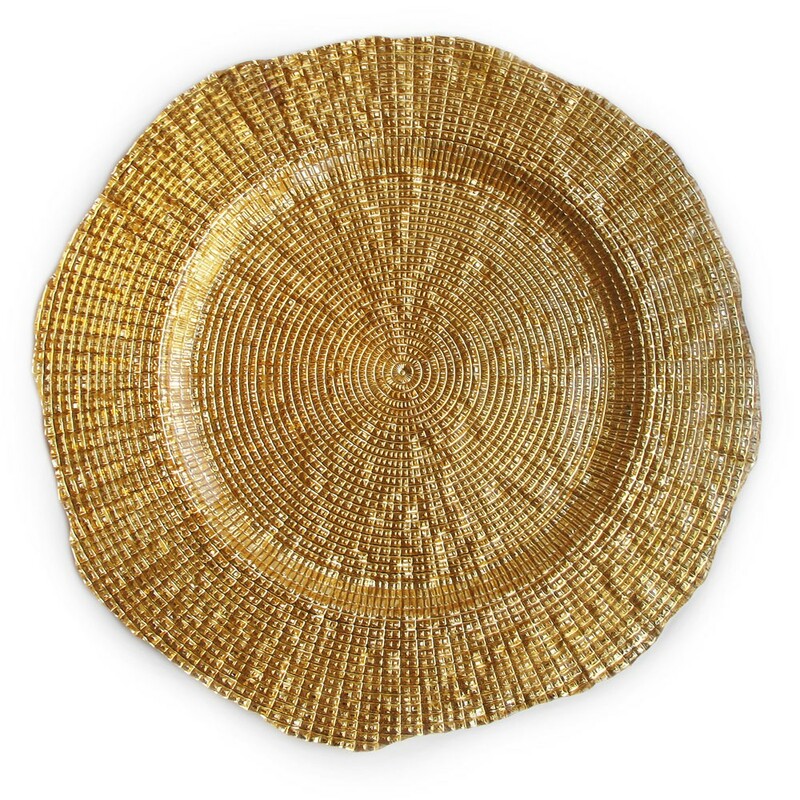 Featuring an intentionally uneven and wavy rim combined with its beaded texture, this charger plate offers a contemporary look that will help highlight your served food. This carefully crafted charger plate boasts a high quality construction that is perfect for weddings, high-end parties and other upscale events. Stylish and functional, this charger plate will provide a beautiful backdrop for your dinnerware and contain spills and other mess.